By adding your custom printing, you can change average into unique! Don’t have a logo, but you still want to add a splash of color? We can help! Just call in with a logo/design request and let one of our graphic’s designers help you from there. Our capabilities are extremely varied and diverse. 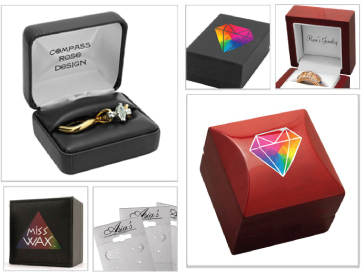 From cotton filled boxes to tags to displays- add a dash of marketing and branding to your entire store! Interested? Placing an order is only 6 steps away! 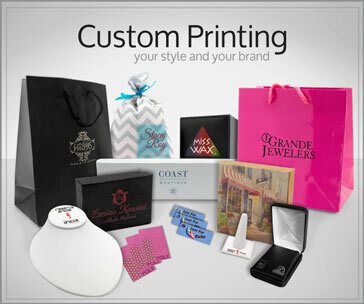 Brand your items with custom printing today!